Some ideas take a long time to mature. 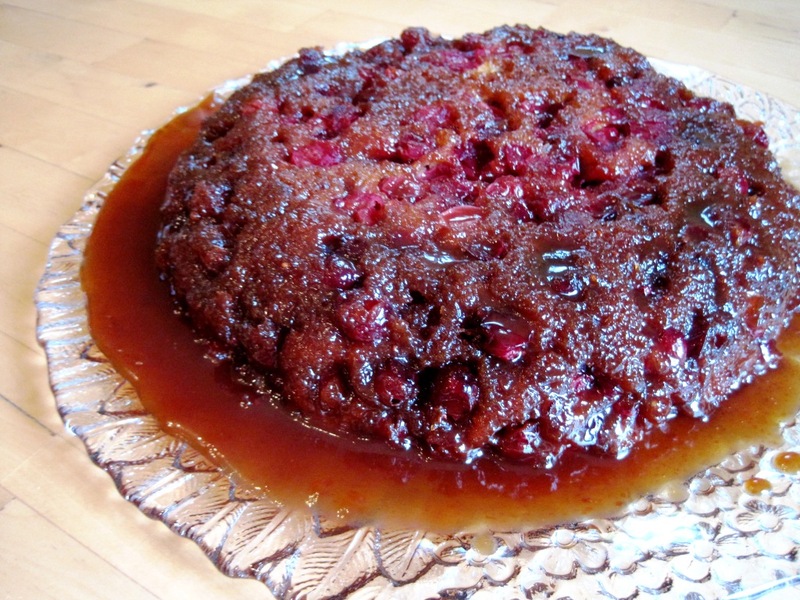 I started experimenting with the idea of an apple-cranberry upside-down cake two years ago. I was intent on this fall flavour combination and tried several variations. None turned out the way I wanted. Either the cake wasn’t right or the caramelly cranberry bottom/top didn’t work out. Last fall I was busy with a new little person in my life. No time for testing recipes. Another cranberry season passed. But the idea didn’t go away. In the meantime, I discovered a flavour combination that quickly became a favourite: dates and cranberries. The other day I was flipping through one of my cookbooks, when the recipe for sticky toffee pudding caught my eye. And then it hit me: forget about apples and cranberries! Sticky toffee pudding is made with dates and is served with a gooey toffee sauce. Make it like an upside-down cake with cranberries, the sauce becomes part of the cake and the cranberries add a tart twist to the cake’s deep flavour. The cake recipe is an adaptation of Marion Kane’s Ultimate Sticky Toffee Pudding recipe, while the caramel is borrowed from my tarte tatin recipe. I used a pie plate with an 8-inch bottom, but you could also use a normal cake pan (not a spring-form; the caramel will leak out). Make caramel. 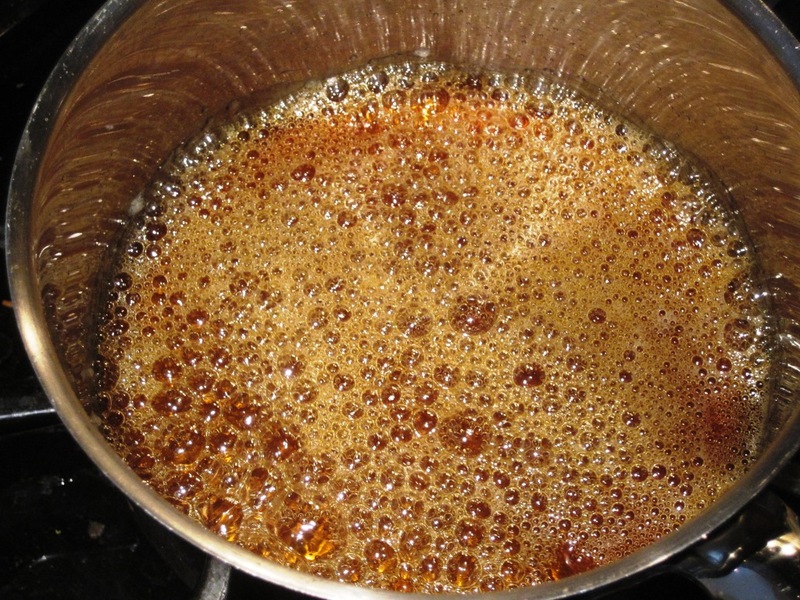 Pour sugar, then water into a heavy-bottomed saucepan and place over medium heat. Let cook until it turns amber. You want the sugar to be this colour before adding the butter and the cream. Once the sugar is amber, remove from heat. Immediately whisk in butter and cream. [Expect a lot of frothing and steaming, as the cooler butter and cream hit the sugar. Just keep whisking.] Whisk until completely incorporated and smooth. Pour into buttered baking dish. Make date purée (you could start this while the sugar is cooking). Place chopped dates, water and coffee in a saucepan and bring to a simmer over medium-low heat. Cook until dates are soft. Blend mixture with an immersion blender or in a food processor until smooth. Set aside to cool. Make cake. 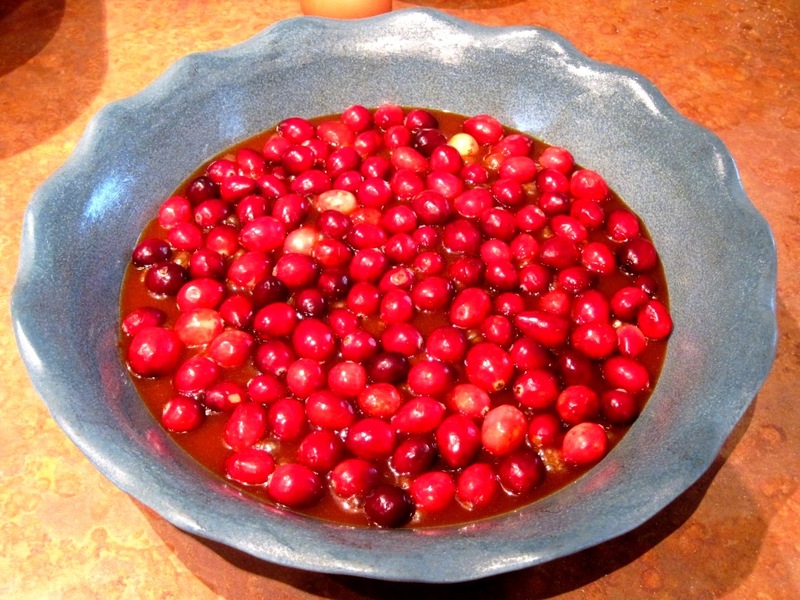 Place cranberries on caramel in bottom of baking dish. In a bowl, combine flour, baking powder, baking soda and salt. In a second bowl, cream butter until light. Add brown sugar and continue beating until well incorporated. Beat in egg and vanilla. Mix in flour mixture alternately with the date purée, beginning and ending with the flour mixture. Pour batter over caramel and cranberries. Bake for 30-35 minutes or until cake tester comes out clean and cake is springy to touch.